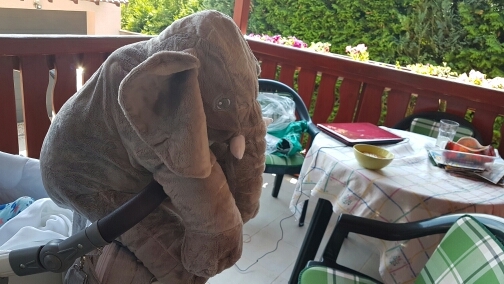 Extremely soft Elephant Pillow for your baby, toddler or grandchildren. This cute pillow is made up of cotton & machine washable. Great soft toy for toddlers to hug and cuddle. Its a perfect companion during playtime and feeding time. 2 sizes available 40cm/15.7in, 60cm/23.6in. 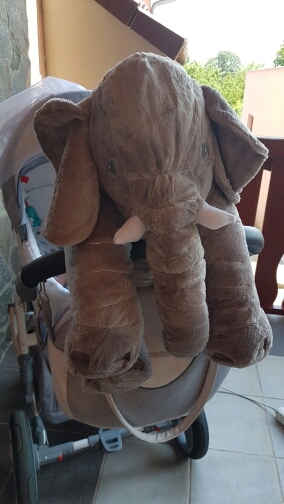 Note: While this pillow is generally safe for babies, please do not leave your babies (under 24 months) unattended while playing with this cute toy. I was very pleased with my purchase. Tracking order was on point. Package came exactly as described from website. Za 12 dní doručené, super materiál.